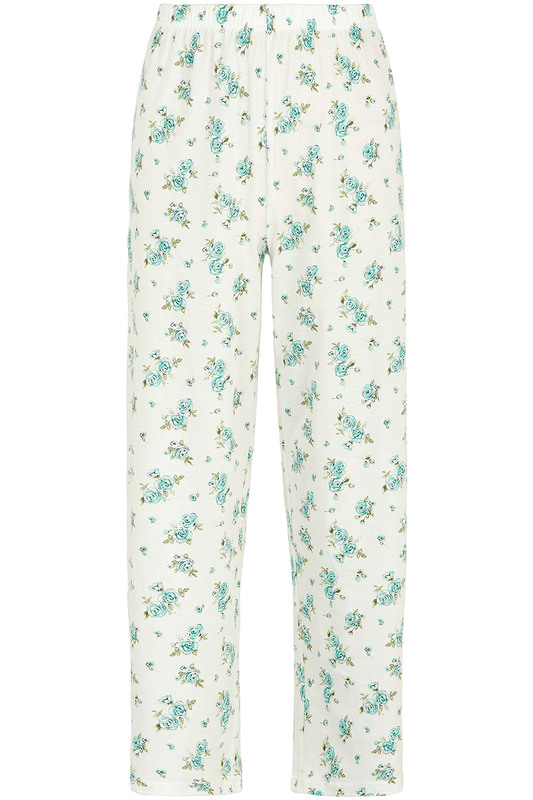 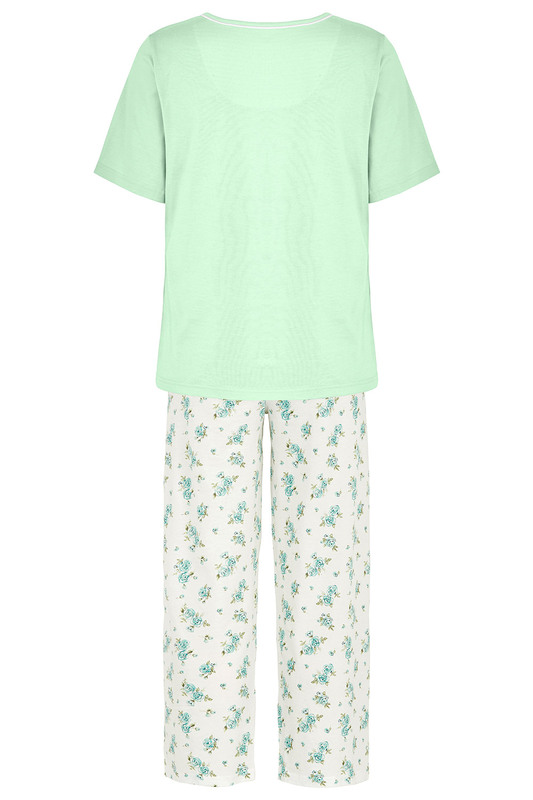 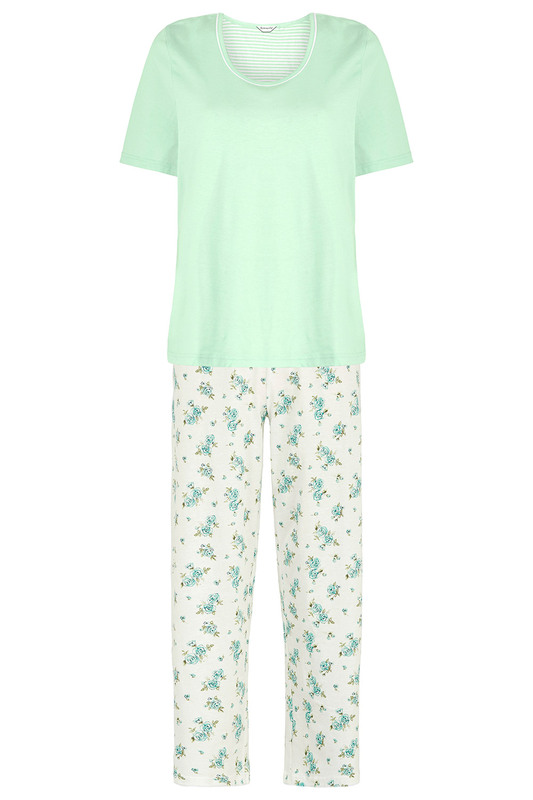 Give the gift of spring with this fresh and feminine pyjama set, made from soft, pure cotton. 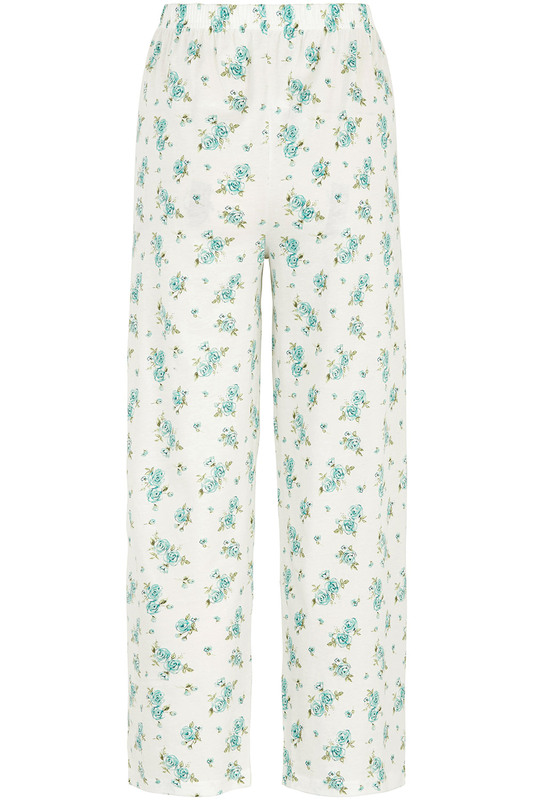 The bottoms have a relaxed, wide leg fit for extra comfort, as well as a delicate, all-over floral print. 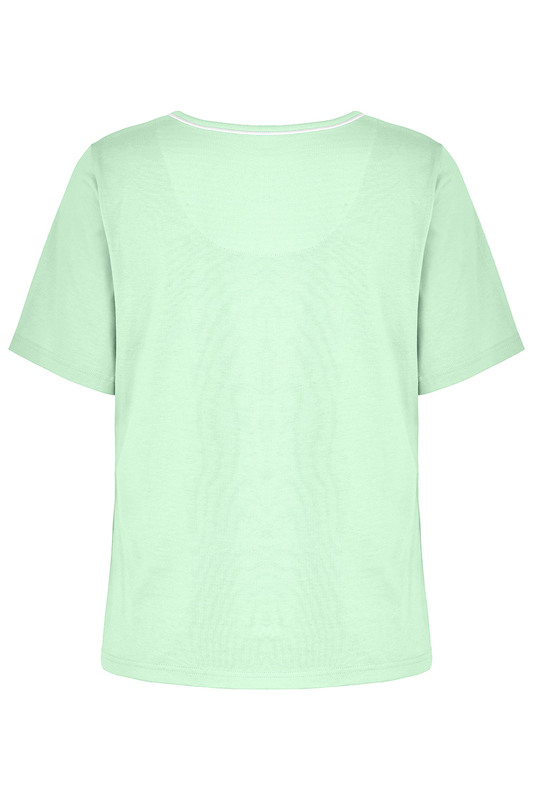 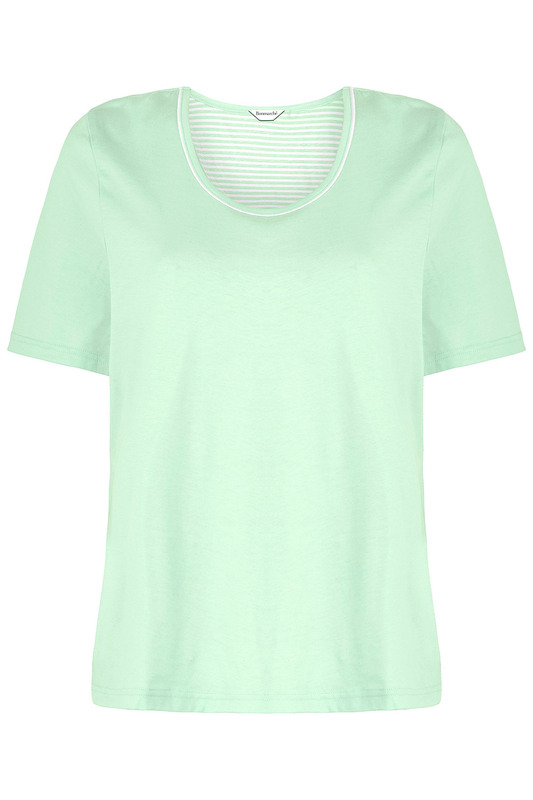 The flattering top has a round neck and short sleeves to keep you cool between seasons.